Home › Ascension Personal Experiences › Happy Holidays & Happy New Year – 2017 a Year of Opportunity, Abundance and Love! Greetings My Dear Beautiful, Magnificent and Precious Beings of Light! Today I would like to take a moment to wish all of you a phenomenal holiday season and a Magical New Year ahead! A year that promises to bring an influx of fantastic energies and align us with outstanding opportunities to make manifest that which is unmanifest! To truly tune into the realms of manifestation, and bring this knowledge onto the earthly planes of existence to be utilized by all. 2017 is a year of new beginnings, changes and opportunities. “Number 2017 brings together the vibrations of number 2, the influences of number 0, the attributes of number 1, and the energies of the mystical number 7. Number 2 brings balance and harmony, adaptability and flexibility, diplomacy and co-operation, service and duty, love and understanding, sensitivity and mediation. Number 2 also relates to your life purpose; your reason for being. Number 0 reinforces the vibrations of the numbers it appears with and encompasses the attributes of all other numbers. As you can see 2017 offers us various opportunities to further develop our spiritual aspects, create new realities for ourselves and tap into the power of manifestation. And thus, it is important to make room for all of these wonderful energies, frequencies and opportunities coming our way, which means it is important to not only set our intention for the year ahead which we will be able to do on the night of the 31st of December, but to LET GO of the outdated patterns and belief systems, of all the emotional baggage holding us back, from all the perceived hurts and wounds of the past. 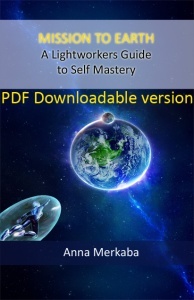 I understand that many of you have been working on doing just that for quite some time and have released, cleansed and purified your vessels, but for those of you who are just coming around to this idea, or are still having trouble fully understanding how to do that, I have put together a step by step, online course called Freedom Journey – Karmic Release to help you do just that – LET GO. This is an in-depth course that covers many topics such as what Karma is, various healing modalities and vibrational remedies to help you on your journey, how to let go, how to forgive, what thought forms are, and how to release these, how to let go of your triggers, how to get in tune with yourself, how to change your karma and how to get off the karmic wheel of human life, how to find the power within and fully let go of the old patterns holding you back from success, and so much more! Give yourself a gift of FREEDOM! For more information about this life changing Freedom Journey please click here. I love you all so much and am so excited to be welcoming 2017 with all of you on the night of 12.31.16. I hope you’ll be able to tune in! Here’s to a Glorious 2017! Let’s make it the best one YET! 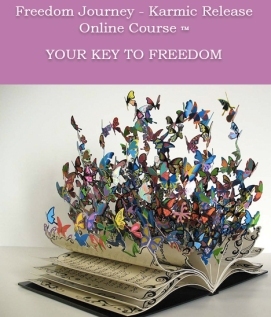 The Freedom Journey – Karmic Release Online Course is now available for all of you to partake of. I have been working on this course for nearly a year and am truly excited to introduce it to you. Thank You Most Magnificent, Beautiful Anna Merkaba. Thank you for your huge contribution to the health, awareness, Love, Peace,& Freedom of the dear earth and all of her Beings. The world is indeed a much better place because of YOU! Your messages are always inspiring. In Gratitude & with Love, I wish you a new year full of all wondrous possibilities beyond your wildest dreams.